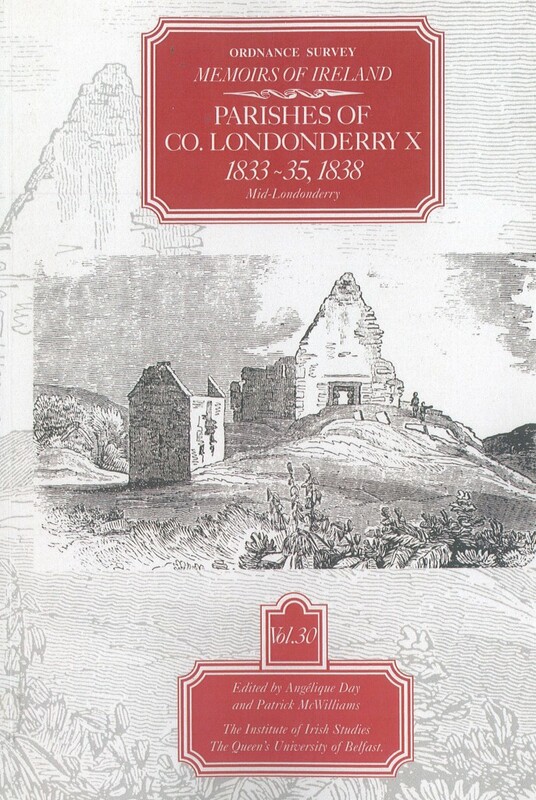 Ordnance Survey Memoirs of Ireland, Vol 30: County Londonderry X. This volume contains the Memoirs for the parish of Banagher, situated towards the west of county Londonderry, including the important market town of Feeny. The material paints a fascinating portrait of life in this largely agricultural area whose "wild and romantic" mountains and glens hold both a great wealth of antiquities and a huge variety of wildlife, notably wolves and eagles. As well as recounting the population, through marvellously detailed tables of schools, emigration and manufactories, this volume contains a wonderful collection of local traditions and superstitions. This Memoir provides a unique insight into life in this area over 150 years ago.